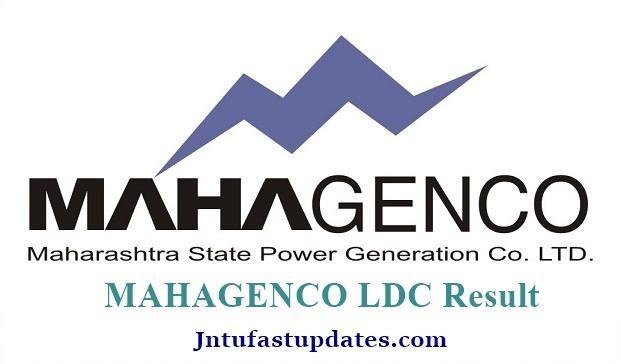 MAHAGENCO LDC Results 2018: Maharashtra State Power Generation Co. Ltd (MAHAGENCO) to Announce the Lower Division Clerk (LDC) results for HR and Accounts divisions. The Maharashtra GENCO has conducted the LDC written test on 1st and 2nd december respectively for HR and Accounts category posts. Many of the interested applicants wishing to get state government jobs in the state of Maharashtra have appeared for the MAHAGENCO LDC written test with a great ambition to get the job. The authority has also unveiled the answer key for the LDC written test within few days after completion of the test. Candidates appeared for the examination have compared with the answer keys and estimated the score roughly. Now, it’s time to check the actual result. The MAHGENCO releases the result of its official website, mahagenco.in. Also, candidates can check the MAHA LDC cutoff marks and download the scorecard. Explore the article for more information regarding the results. Maharashtra State Power Generation Co. Ltd is the state power supply corporation especially contributing its services in Maharashtra. The organization has widely spread across the state and it is rendering the best services in power generation. Hence it is one of the largest government organizations in the state, it recruits suitable candidates for various departments and designations annually. Many of the candidates dream to get MAHAGENCO jobs. The MAHAGENCO has announced 111 Lower Division Clerk (HR & Accounts) Posts in last quarter of 2017. Many of the interested aspirants have applied for the announced jobs. Screening of the candidates will be done through the written test and interview/document verification rounds. With a great aim to get the LDC post, many of the competitors have clashed for the test, the first round of selection process. The organization is expecting to announce the result in the month of March. Tentatively, the Maharashtra LDC result 2018 will be announced in 2nd or 3rd week of may. Competitors have to stay little patient and keep checking the official portal, mahagenco.in. Aspirants who have appeared for the LDC HR and LDC Accounts examinations on 11th , 12th November 2017 can check the result, score soon after the organization announces the results. The competitors can also download the scorecard. Check the section-wise cutoff marks, and category-wise cutoff marks from the MAHAGENCO official website, mahagenco.in. The organization is going to declare the cutoff marks for LDC HR and LDC Accounts examinations. Aspirants who meet the required cutoff marks in the examination will be shortlisted for the interview round. The MAHAGENCO is going to release the final merit list of shortlisted candidates’ names at the time of result release. Candidates who have competed for the test can download the merit list as well. For the reference of aspirants, here we have provided the cutoff marks as per official website. Candidates can check the cutoff marks from the following table. How To Check MAHAGENCO LDC Result 2018-19? In the first step, candidates have to take a look at MAHAGENCO official website, mahagenco.in. On the homepage, aspirants can find the link of ‘Lower Division Clerk Result 2019 Nov’ link. Click On that link and specify the required information such as registration number etc. Make sure to enter the correct details without spelling mistakes. Click on ‘Download’ button at the down. The MAHAGENCO LDC result, scorecard gets downloaded. Check the result and take a printout for further verification. 1.2 How To Check MAHAGENCO LDC Result 2018-19? January samptoy Ata result kadhi???? Comment karun kahich benefit nhi koni reply detch nhi……..
Advertisement No 11 (Sep. 2017) LDC Clerk chi exam 22/11/2018 la zali hoti. Tich exam 1st Dec. 2018 la reconduct keli, pn ajun tya exam che score or result aalela nahi. Someone can tell me about result? … when it will be declared?.. All are waiting for result, already its too late. Please declare the result. Result date declare zali ka ? Apale sarkar var takrar nondva.